HOW DO WE PRICE YOUR HOME? How desirable is your property? How is the market? How urgent are you to sell? These are the 3 strategies we use to determine the price of your home. Watch our latest vlog below for all the details! Don’t forget to subscribe to our Youtube channel. We have lots more Vlogs coming your way! May is here and it’s time for another New Westminster housing market update. It’s been a bit of a crazy year, it started off with a lot of snow, followed by a lot of rain, which delayed everything and affected the number of sales that have taken place. In fact, numbers are down considerably. The number of sales of detached homes in New Westminster to date is 62. At this time last year, that number was 186–that’s essentially a third of the number of sales compared to last year and about half the number of sales compared to 2015. Not surprising considering the weather and considering everything that’s happened lately, and, openly, there just hasn’t been a lot of product and a lot of overpriced listings have been sitting on the market. The sales ratio is the sales-to-active listings ratio or the number of sales that take place in a given month divided by the number of active listings. The sales ratio for detached homes in New Westminster is 30% across the board. That means, that of ten listings, 3 of them sell in a given month. Anything north of 21% is considered a seller’s market, so the market still is strong. Isolating the ratio to focus mainly on a lower price point, say detached homes under $1.2 million, the sales ratio goes from 30% to 70%. That means the out of 10 listings, 7 of them are selling in a given month, and that is a very strong seller’s market. So there’s clear demand for the more affordable price points. The average detached home sold this year is going for $1.125 million and the average high sales of the year is $2.3 million; but there were two sales north of $2.2 million, both in ‘Queens Park‘. The REBGV has shown that prices for detached homes in New Westminster have gone up 8% from this time last year; but we’re finding that, for nice family layouts, in a good location, in good shape, in the more affordable price bracket, they’re up about 10%. The busy street homes, the ones that have the land value, are struggling a bit; they’re at par with April of last year or maybe even a little bit below. Moving forward, I expect the market activity to increase quite a bit; I think sales are just starting to ramp up and that the summer is going to be a busy one. Talk about things such as coach homes for lots over 6000sqft has held back a lot of the inventory as owners wait to see what happens. But, the weather is getting better and the supply is low and the demand is high, so if you are a homeowner and you’re thinking of selling, now is the time to do so. If you’re thinking of buying, selling or just curious about the value of a property, contact us today! May is here and it’s time for a condo market update for New Westminster. It’s been a bit of a crazy year; we’ve had some insane weather and condos have been smoking hot. That’s your update—they’re hot! Overall, the sales for the year are down a little bit from last year, but not significantly. We’ve had 357 sales to date, compared to the same period last year which was 418, and in 330 in 2015. So even though there’ s been a little bit of a decrease, we’re up from 2015. The sales ratio for these condos, however, is up considerably. The sales ratio is the sales-to-active listings ratio or the number of sales that take place in a given month divided by the number of active listings. A seller’s market is considered to have a sales ratio of 21% or higher. 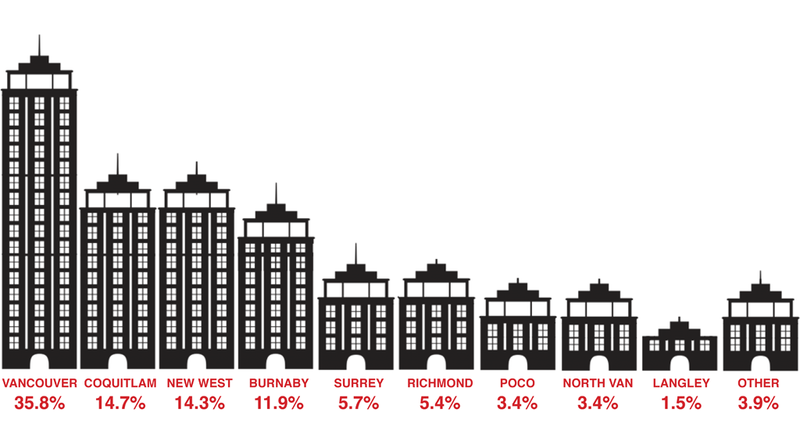 Across the board, the New Westminster condo sales ratio is 76%–a smoking hot seller’s market. That means that out of 10 active listings, 7.6 of them will sell in a given month. If we isolate the sales ratio to the hottest product right now–entry level one bedroom condos built after 2000–the sales ratio is 183%! Which is ridiculous. It basically means that is you have a newer one bedroom condo to sell, it will sell immediately. And we’ve been experiencing that. Keep in mind that that’s 183% sales ratio when a seller’s market is considered anything north of 21%. What are prices doing? Well, prices are up. The REBGV says that prices are up 20% compared to this time last year. We’ve had cases where the prices have been up 30%+. We recently listed four New Westminster condos that received 20 offers combined averaging $43,000 above their list prices. So, if you’re a condo owner and you’re looking to sell, it’s a great time to do so; but figure out where you’re going, because if you’re buying another condo, it may be frustrating. Essentially, everything in the strata seems to be quite active right now in New Westminster. The market is as good and as strong as we’ve ever seen. On the buy side, expect frustration, expect competing offers and expect to pay more than the last sale. Things may slow down in the fall, but there’s nothing telling us that right now. At the moment, it is a seller’s market and New Westminster condos are hot. May is here and it’s time for a Greater Vancouver housing market update. It’s been a bit of a crazy year, and between the snow and the rain, the weather has been awful and it’s held back the sales a little bit; the number of sales are down considerably compared to 2016. As of April 26, 2017, in Vancouver the number of sales of detached home is 701. Now compared to the same period of time last year, it was 1473–just under half the number of sales. In Burnaby, we see the biggest effect: 267 compared to 1400 last year. In the Tri-Cities, 469 compared to 1098 sales. Overall, the trend is that the number of sales is down considerably and, in most cases, less than half of what they were last year. Mind you, last year was insane and this year we’ve seen some legitimately awful weather. In terms of prices, let’s look at the sales ratio. To get a good indication of how the market doing, we like to look at the sales ratio. The sales ratio is the sales-to-active listings ratio or the number of sales that take place in a given month divided by the number of active listings. A seller’s market is considered to have a sales ratio of 21% or higher. In the last 60 days, the sales ratio for detached homes in Vancouver is 15%; that means that of 10 active listings, 1.5 of them are selling in a given month. That’s a low figure, but when you isolate listings at $1.5 million or less, that figure goes from 15% to 38%–a strong seller’s market. When you isolate that figure from $3 million plus it goes from 15% to 9%. So the high end is really what’s dragging down the sales ratio. And similar stats are in Burnaby, where the sales ratio is 21%, but under $1.5 million, it’s 53%, and at $2 million, it’s 9%. So the high end market is what’s struggling right now, but the entry points are quite active—they’re hot. The highest sale to date was on Point Grey Road and it sold for $17.6 million, this is from the REBGV stats. In the Tri-Cities, the highest sale was $3.4 and it was ‘Anmore‘, which is, in my opinion, one of Vancouver’s best kept secrets. In conclusion, the weather has held the market back. I expect these sales numbers to improve in the coming months, more so in the seller’s favour. The weather’s going to get better, a lot of homes will be coming on the market and I think it’s going to be a very active time. However, a lot of people are overpricing their homes–$2.5 million homes are being priced at $3 million, or $2 million dollar homes at $2.5 million, and that is proving not to work right now. You could get away with it last year, because the market would climb until it reached that point, but this year, it’s not. We’re seeing price points similar to last year in most areas and we’re seeing prices 20% above last year’s prices. So, there’s a big gap between list price and sale price and that’s holding back the sales ratios in a lot of these places. 1. Don’t list it if you’re not serious about selling. On the buy side, I think it’s a great time to buy higher end product, but I just don’t think the seller’s are willing to come down to your price points yet. On the sell side, now is the sweet spot to sell detached homes. May, June, July, are active months, so take advantage. May is here and it’s time for a Greater Vancouver condo market update. It’s been a bit of a crazy year, and, between the snow and the rain, the weather has been awful and it’s held back the sales a little bit, or at least that’s part of the reason for it. As of April 26, 2017, the year-to-date number of sales are down from this time last year in the same period. If I were to put an approximate figure on it, I would say it’s down 30% in terms of number of sales. However, number of sales is just part of the equation for the market–prices are up considerably. Condos and townhouses are hot! They’re more affordable than detached homes, and, as a result, have a lot more buyers. To get a good indication of how the market doing, we like to look at the sales ratio. The sales ratio is the sales-to-active listings ratio or the number of sales that take place in a given month divided by the number of active listings. A seller’s market is considered to have a sales ratio of 21% or higher. That usually means that prices don’t back track. In Vancouver right now, we’re seeing a sales ratio of 60% over the last 60 days. In Burnaby, it’s 66%, in New Westminster it’s 76%, and in the Tri-Cities it’s 98%. These are strong seller’s markets. If we isolate Vancouver condos north of $1.5 million, the sales ratio goes from 60% down to 22%, which is on the fringe of a seller’s market. At that figure, it’s definitely not a climbing market, but it’s definitely not back tracking either. So, sales volume may be down, but the prices are up. 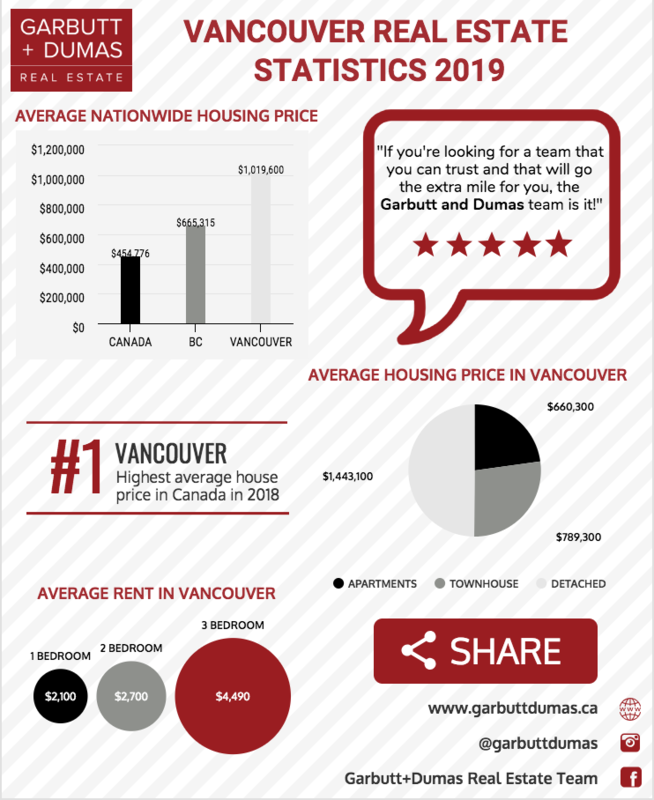 According to the latest stats from the REBGV, condo prices are up 16% across all of Greater Vancouver; however, in Burnaby, New Westminster and the Tri-Cities, we’re seeing a figure that seems to be more in line with 25%. And, particularly newer condos built after 2000 that are entry price points in the market, they’re smoking hot. The demand for affordable condos is high; the higher the price points, the lower the demand. Let’s look at those percentages in a more practical way. Let’s look at a ‘Yaletown‘ 1 bedroom that’s 550 sf mid-level, say 10 years old as well. Those are selling for $1100 a foot this year; in 2016 for $950sf, and the year before it would be $775. Back to back years of 20+% appreciation–that is a hot market. It’s not sustainable, but it is smoking hot at the moment and I don’t expect it to slow down any time soon. The highest sale as of April 26 2017 is $8.7 million. That was for a 3600sf condo in ‘Coal Harbour‘. That’s bigger than my house. In the Tri-Cities, a condo in Newport Village sold for $1.4 million for 1800sf overlooking the water. Moving forward, I expect more of those to come; a lot of people that are downsizing are moving into these high end condos. So if you own a high end condo, now is a great time to consider listing. Basically, if you own any condo in Greater Vancouver, now is a great time to sell! The problem is, what are you going to buy? If you’re buying another condo, you may have some challenges. May is here–and it’s time for a Burnaby detached house market update. It’s been a bit of a crazy year that started off with a lot of snow followed by record amounts of rain and we feel that this held back the number of sales compared to previous years. As of April 26, 2017, the year-to-date number of detached houses sold in Burnaby was 276 units*, compared to 1400 units in 2016 and 558 units in 2015. That’s basically 1/5th of the sales volume in terms of units sold compared to this time last year. Not surprising, however, because the weather has been awful, and Burnaby houses have become very expensive! The average list price of a detached home in Burnaby at the moment is $2,212,700 (as of April 26, 2017), and the average sale price over the past 60 days has been $1,696,600. To get a good indication of how the market is doing, we look at the sales ratio. The sales ratio is the sales-to-active listings ratio, or the number of sales that take place in a given month, divided by the number of active listings. A seller’s market is considered to have a sales ratio of 21% or higher. Currently, Burnaby homes are on the fringe of a seller’s market. When looking at the last 60 days of activity, the sales ratio is 21% for all houses in Burnaby. However, if we isolate homes priced under $1,500,000, the sales ration climbs to 53%. If we isolate the $2 million plus price range in Burnaby, the sales ratio decreases to 9%. Basically meaning that 1 of out 10 listings in this price range are selling in a given month. As a Burnaby Realtor, what we’re seeing is that there are a lot of overpriced homes; there are a lot of higher end homes priced 10-20% above where they should be. Moving forward, we expect to see the sales ratio increase in the seller’s favour. The market is starting to heat up and the weather is getting better. The high end market may still struggle, but we expect houses priced under $2 million in Burnaby to be in high demand over the coming months. There has been just 1 detached home sold in 2017 for under $1 million and it went for $998,800. It was a small older home on a very busy street (10th Ave). It’s official, the new entry price point to buy a detached house in Burnaby is $1 million. The high sale for 2017 is $3,180,000 and it was a newer home sold in ‘Upper Deer Lake‘. *Note that this information was taken on April 26, 2017. They are likely firm sales that have not registered on the MLS. Actual 2017 figures may be slightly higher than noted above. May is here and it’s time for a Burnaby condo market update! It’s been a bit of a crazy year, we had a lot of snow at the beginning followed by record amounts of rain and we feel that this held back the number of sales compared to previous years. As of April 26, 2017, the year-to-date number of condos sold in Burnaby is 636 units*, compared to 1022 units in 2016 and 708 units in 2015. Sales volumes may be down, but prices are up, and condos are hot. The REBGV just released the latest market stats and it shows Burnaby condos are up 25% compared to 1 year ago. To get a good indication of how the market doing, we like to look at the sales ratio. The sales ratio is the sales-to-active listings ratio or the number of sales that take place in a given month divided by the number of active listings. A seller’s market is considered to have a sales ratio of 21% or higher. 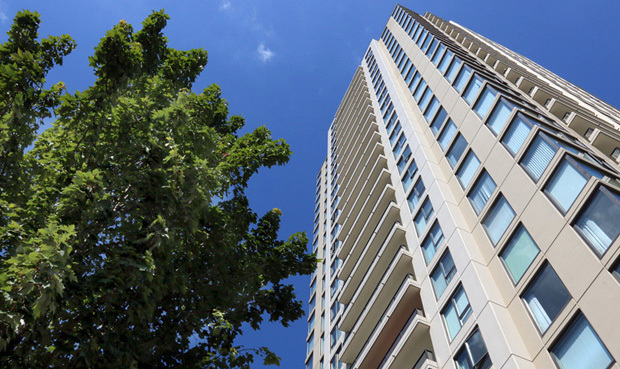 Currently, Burnaby condos are experiencing a strong seller’s market. When looking at the last 60 days of activity, the sales ratio is 65% for 2 bedroom condos and 85% for 1 bedrooms. This tells us that condos are in demand, and even more so for lower price points. Let’s look at Brentwood Park for a moment as it is a popular neighbourhood for many condo buyers due to it’s central location and ample supply of newer condos. The price per square foot for a typical 2 bedroom, 2 bathroom, mid level unit that is 850-880 sqft in a 10ish year old building at OMA (2345 & 2355 Madison Ave, and 4250 Dawson St) or Tandem (4118, 4178 & 4182 Dawson St) is currently selling for about $775/ sqft or $675,000 (as of April 2017). In April 2016, they were selling for $635/ sqft or $540,000, and in April 2015 they were selling for $520/ sqft or $450,000. It is a climbing market and Burnaby has seen back-to-back years of 20% plus appreciation. The highest price per square foot recorded this year was $980/ft in Brentwood Park, and if that is the start of the new trend, expect Burnaby to get even more expensive! Vancouver too expensive? Move to New West! As real estate prices in Vancouver’s neighbourhoods escalated out of reach, Vancouverites looking to own their home are heading east. New Westminster Realtor James Garbutt says he’s seeing more and more buyers looking at the city as an affordable alternative to Vancouver, but without giving up the amenities of city life. While $1.2 million might get you a tear-down on a small lot in East Van, in New West it can put you in a beautifully-renovated Craftsman heritage home that’s centrally-located close to schools, parks, shopping and transit. That value isn’t going unnoticed in Vancouver. In fact, says Garbutt, over the past year about 30 percent of visitors to open houses he’s conducted in New West are from Vancouver. For detached homes in particular the number is much higher. 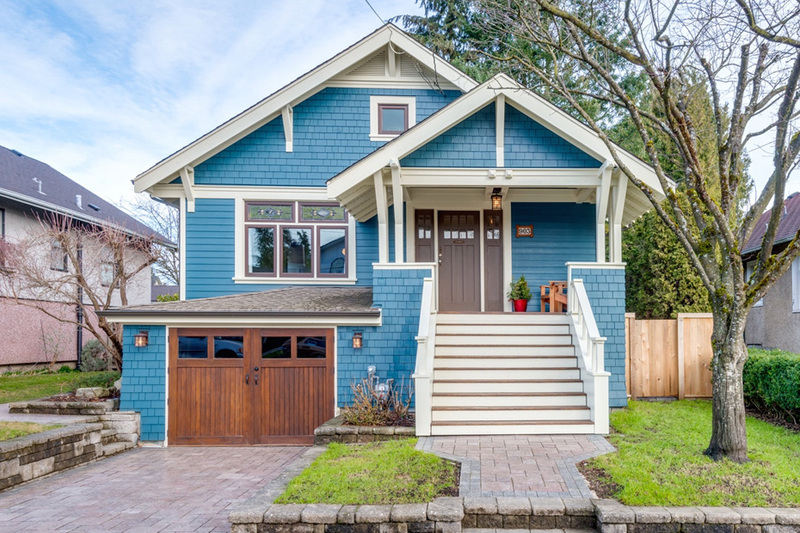 Garbutt recently sold a beautiful Craftsman style home at 903 Henley St, New West. Roughly 75% of the open house visitors came from Vancouver. It achieved multiple offers, and the buyer was a young professional couple from Downtown Vancouver. This Craftsman heritage home in New Westminster was recently sold by Realtor James Garbutt to a couple from Vancouver. For detached, single-family homes in New Westminster sold in 2016, 51 per cent of the buyers’ agents were from Vancouver, suggesting their clients likely are as well, says Garbutt. For condos, 36 percent of the buyers’ agents were from Vancouver. “In New West, our main sources of buyers are coming from more expensive markets, primarily Vancouver,” says Garbutt. The city is undergoing a renaissance. After languishing through the 1990s as a marketplace for cheap street drugs peddled by Honduran dealers loitering around its SkyTrain stations, Downtown New West has come alive with new restaurants, with more on the way. At Eighth and Columbia Streets, the gleaming Anvil Centre has replaced a squalid block of cigar shops and temporary employment agencies. The western end of historic Front Street has been opened to the sky with the partial demolition of the old parkade. The waterfront has been enlivened by Pier Park and the River Market. The historic Queen’s Park neighbourhood abounds with lovingly-restored family heritage homes along quiet, leafy streets, and the Sapperton area surrounding Royal Columbian Hospital is alive with young families attracted to its affordable, smaller detached houses and new condo developments. 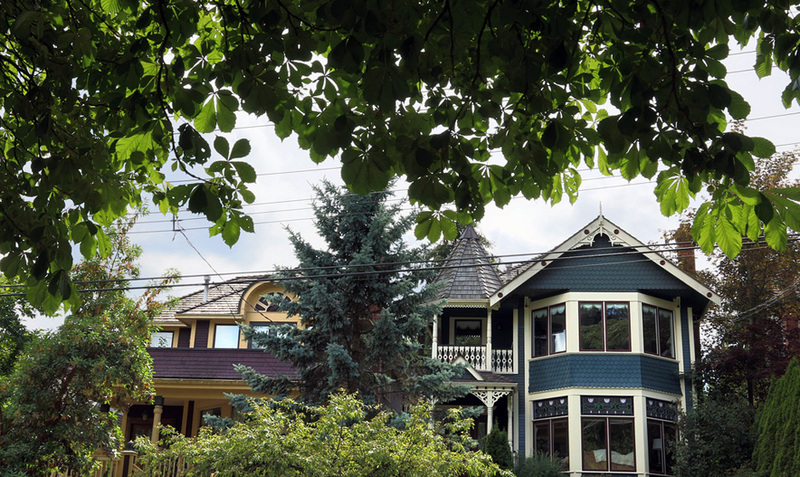 The leafy streets and lovingly-restored heritage homes of New Westminster’s Queen’s Park neighbourhood. Progressive businesses like Steel & Oak Brewing Co., Brick + Mortar, El Santo and 100 Braid St. Studios actively promote the city far and wide on social media using the hashtags #newwest or #theroyalcity, which have more than 130,000 posts on Instagram combined. To preserve the city’s historic identity, City Hall is taking steps to implement historic design guidelines in neighbourhoods like Queen’s Park. The City works with developers to maintain historic building facades, like the Trapp & Holbrook and the Freemasons Hall, which is currently being transformed into a new residential development. 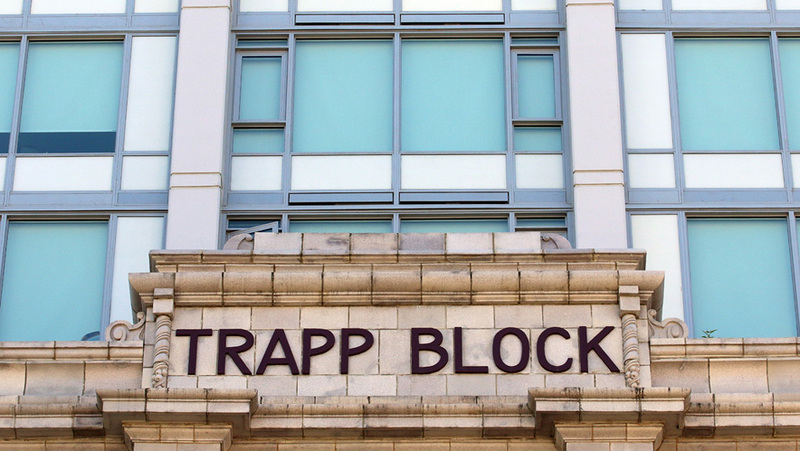 The City is working with developers like Robert Fung to preserve historic facades such as the Trapp + Holbrook condo tower on Columbia Street. 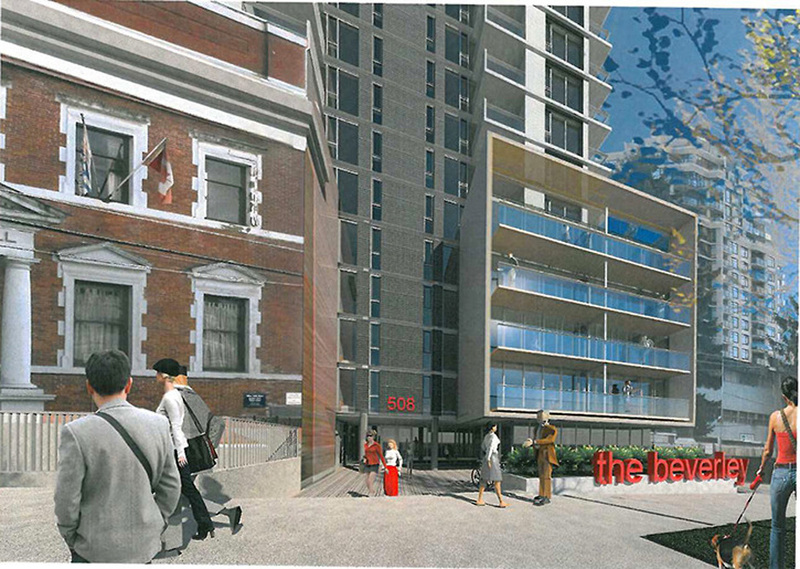 An architect’s rendering of a new residential development being built behind the preserved facade of the New Westminster Mason’s Hall on Agnes Street. With the pressures of growth, New West is looking at finalizing a new Official Community Plan in June (check out the 25 year vision at: OUR CITY 2041), that will introduce higher density in certain neighbourhoods and laneway houses throughout the city. The city is growing conservatively without losing its identity, says Garbutt. It’s being proactive about managing that growth. That’s attracting new businesses and new residents. Especially from Vancouver. Winter may be hanging on tenaciously, but the housing market is waking from its seasonal slumber. The Real Estate Board of Greater Vancouver reports 2,425 residential home sales in February; that’s 59.2 per cent more than were sold the month before. And while it’s still 41.9 per cent less than the record 4,172 homes that were sold in February, 2016, it’s only slightly less than the 10-year average for the month. REBGV president Dan Morrison says rotten weather may have helped keep buyers at home. But the supply of new listings is also tight. The 3,666 new properties for sale in February was 36.9 per cent less than a year ago, and 11.4 per cent fewer than January. It was also the lowest number of new listings for the month since 2003. That’s keeping prices buoyant in the local housing market, says Morrison. The ratio of sales to active listings actually increased 10 per cent from January to 31.9 per cent; experts say housing prices don’t start going down until that ratio dips below 12 per cent for a sustained period and they go up when the ratio stays greater than 20 per cent over several months. Condo sales are still hot in the New Westminster and Burnaby housing market, despite the wintry weather. In fact, the benchmark price for a typical condo in Greater Vancouver increased 2.7 per cent in February to $526,500. In New West, the benchmark price for a condo went up 1.4 per cent to $392,400; that’s a 21.3 per cent increase over a year ago. The benchmark price for condos also increased in Burnaby, by as much as 2.6 per cent to $503,600 in North Burnaby, to 1.9 per cent in South Burnaby, where a typical condo now goes for $561,600. The benchmark price for townhomes in Greater Vancouver is now $675,500, a 1.3 per cent increase since January and 18.3 per cent more than Feb., 2016. New West townhomes experienced similar increases to a benchmark of $545,500 while in North Burnaby, the benchmark price increased 3.1 per cent over the previous month to $539,500. House prices are staying steady; in Greater Vancouver the benchmark price of $1,474,200 for a single-family detached home was unchanged from January. In New West, the benchmark price for a typical house went up .3 per cent in February to $1,026,700 while increases in Burnaby ranged from .1 per cent in the South to $1,636,100 to a 1.3 per cent jump in North Burnaby to a benchmark price of $1,499,600. What’s hot in Greater Vancouver real estate? And what’s not? We’re well into the new year, we’ve settled back into familiar routines. It’s time for a little market analysis and look ahead to the coming months. Snow and ice. A media feeding frenzy. Changes to the mortgage rules. The foreign buyers’ tax. The usual post-Christmas lull. It’s all added up to a of uncertainty, and a “lukewarm start” in the Greater Vancouver real estate market. Sure, sales are down 39.5 per cent from last January. And there’s 9.1 per cent more listings. But the market is stronger than it may appear. In fact, condos and townhouses are hotter than ever! They’re still selling at peak prices. They’ve been virtually unaffected by the legislative changes, or skittish buyers. We’ve already had a few recent sales that were 5-10 per cent above last summer’s spike. Quite simply, there’s more demand for condos and townhouses for sale than there is supply. It’s the first time I can recall condos being hotter than houses. So, if you’re looking to purchase a condo, don’t expect to find a deal. You’re going to have to jump when the right one comes up because there’s no sign they’re going to slow down in the short term. If you’re selling a condo, it’s a great time. The provincial government’s new loan program to help first-time homebuyers with their downpayment is already driving demand. Many of those buyers are shopping for condos. The market for detached houses, on the other hand, is still cool. Especially for houses worth more than $2 million. Currently, there’s 240 of those listed for sale in Burnaby, New Westminster and the Tri-Cities. But only seven have sold. Then again, only seven such homes sold in all of 2010. Also feeling the pain are land value listings as builders hold off, hoping to score a deal. Difficult properties such as those with weird layouts or ones located on busy streets are presenting challenges as well. Overall, their prices are discounted 5-10 per cent, and sometimes even as much as 20 per cent, from where they were last summer. That’s not great news for sellers. If you’re looking to sell a high-end detached home, it might be best to hold off a little longer if you’re able; I expect the market will rebound 5-10 per cent by the time the weather warms up. For buyers, there may be some opportunities to score a deal that would have been unattainable last summer. You could do especially well if you’re willing to throw a little sweat equity into the mix by buying a home that needs some renovation. Of course, what’s hot in Greater Vancouver real estate, and what’s not, is always evolving. The fact remains, this is a desirable place for people to live and invest in real estate, and the general trend for property values continues to increase over time. It’s all about where and when you want to jump into or out of the market. Spring is just around the corner; traditionally that’s a busy time of year whether you’re selling or buying.